Serving notes : 75% Pinot Noir et Pinot Meunier 25% Chardonnay Colour : gold, amber coloured. Nose : aromas of flowers, white fruits, some touches of citrus fruits. Mouth : fresh, vinous, dried fruits, brioche bread. Long in the mouth. 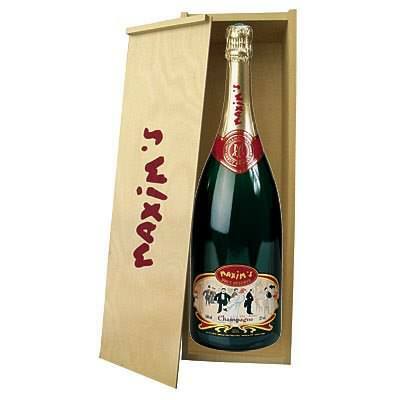 Maxim's embodies the experience of an over hundred-year-old mythical brand, the tradition of a French art de vivre, and the constant search for the most appealing flavours and presentations, in order to please the most demanding gourmets.